Black thumbs be gone. 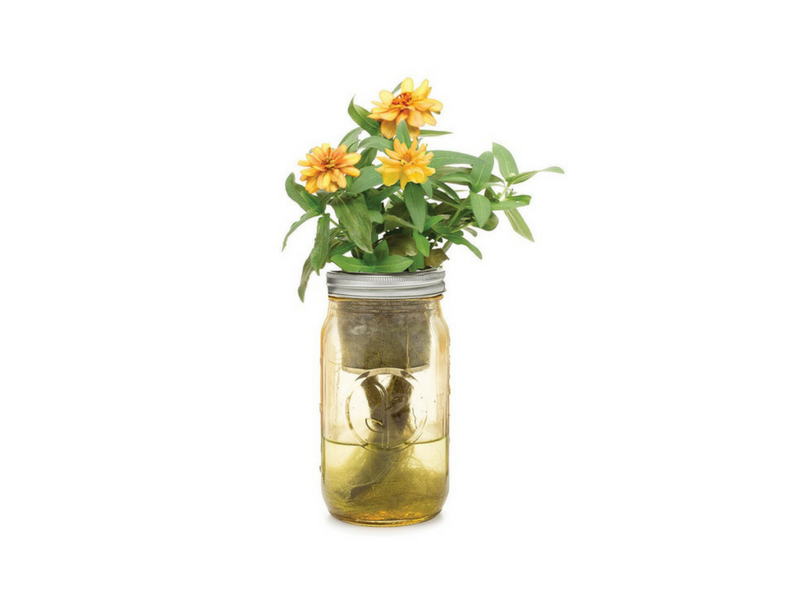 Our self-watering herb kit that features an amber vintage-inspired mason jar outfitted with a passive hydroponic system known as “wicking,” which brings water and nutrients up to the plant's roots. So whether you forget to water, over water, or both, we’ve got you covered. This year-round indoor planter comes equipped with everything you’ll need to start growing, just add water and set in a sunny window. 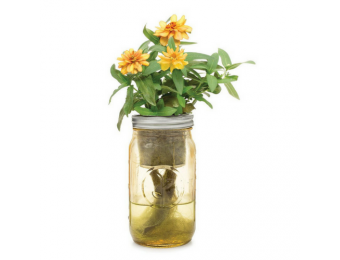 Includes Certified Non-GMO Zinnia Profusion Double Deep Salmon Seeds.Designed to be reused. Awesomely assembled in the USA.